Coffee With Games: A TKO Father's Day Gift! Nintendo Selects: Punch-Out!! Punch-Out!! now has approximately 199,498 U.S. Wii owners that have reported data through the Nintendo Channel, which is an increase of 43,080 U.S. Wii owners that have reported data since March 7, 2011. The game has an average play-time per day/session now reported as 1 Hour 24 Minutes, just a 1 minute decrease from the last average reported on. Punch-Out!! 's current 2,221,725 Total Hours of reported game-play is an increase of 559,277 more hours since last year's report. The game has a "professional" review score average of 87.66%, still based on 47 reviews on GameRankings.com. Its customer review score average is now 86.53%, a slight increase since last year, now based on 153 customer reviews between the original Wii version the Nintendo Selects version on Amazon.com. 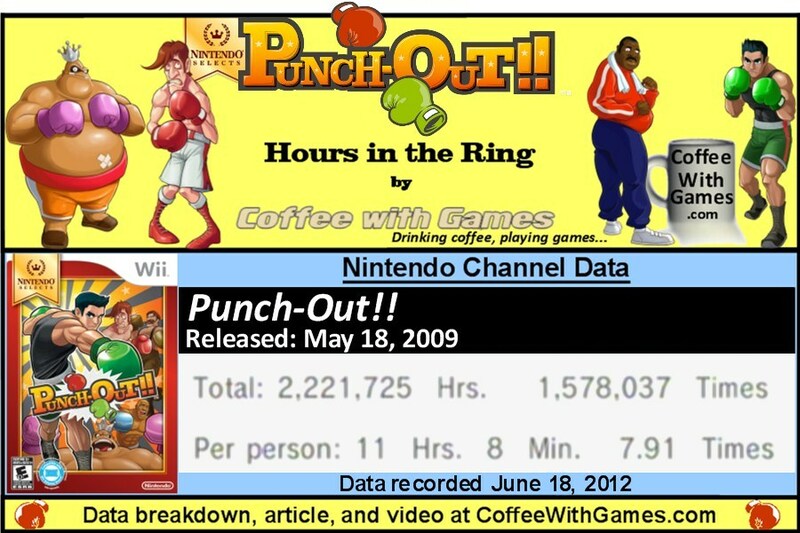 So far, I have enjoyed my time with Punch-Out!! over the last week. I have won both the Minor and Major Circuit belts so far, but have yet to start the World circuit. 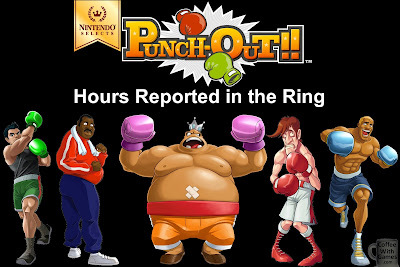 If you haven't seen any footage of Punch-Out!! for the Wii, below is a video of a match against Glass Joe from the game's "Exhibition" mode. Exhibition mode allows you to box against opponents you have already boxed against in the game's "Career" mode, and it also throws in a few "Challenges" for each boxer to help add replay value to it. I haven't played it on a high-definition television, but the cel-shaded graphical style is crisp, and Punch-Out!! should look great even for future video game generations. So far, my reported game-play time is showing up as 2 Hours 22 Minutes over "4 Times" reported, making my average reported play-time per session just over 35 minutes. Have any of you played/purchased Punch-Out!! for the Wii since it was added to the Nintendo Selects lineup last August? If you have played Punch-Out!! Wii, did you complete the game's "Career" mode and all of the challenges in the "Exhibition" mode? If you have not played Punch-Out!! 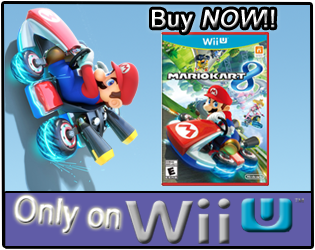 on the Wii, you can see the original and Nintendo Selects versions on Amazon.com below. Make sure to purchase the lower priced version! I haven't played Punch Out!!! at all, but there is no Nintendo Selects range for us in Australia. 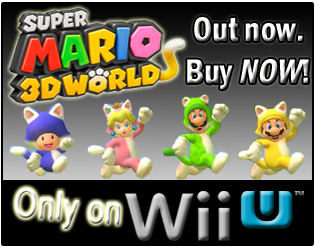 It's a pretty stupid call for Nintendo Australia, trying to market the hell out of the Wii at the moment. Happy father's day to you Coffee! "I haven't played Punch Out!!! at all, but there is no Nintendo Selects range for us in Australia." Interesting. Did Nintendo have the "Player's Choice" in Australia for the GameCube? "Happy father's day to you Coffee!" "I purchased, played and beat the different modes prior to it becoming a select and traded it back in before it became a select as well." Do you remember if you did all the challenges in it? I only started exhibition mode for the video in this post, and it seems Glass Joe's "Challenges" are pretty easy to get, though I don't know if they progress and get more "challenging" with each boxer. I am looking forward to seeing all the unlocks though, just to see what they threw in from the development side. I haven't, but it looks like a good game. I always enjoyed the NES punch out have had this on my wishlist for awhile. Not sure if I'll put my father's day gaming fund towards it or a 3DS game. "Not sure if I'll put my father's day gaming fund towards it or a 3DS game." You could get Luigi's Mansion 2, and still support Next Level Games, and then buy Punch-Out!! Wii U when they release Little Mac in HD. Yea, I have only played Glass Joe in the Exhibition mode, for the video in the post. I haven't gone any further than him in that yet. Looking forward to the "Challenge" rematch mode against the boxers...almost finished with the main game. It's on the list and the list is getting longer..